1.A. A Satisfactory rating requires commitment to assigned classes, e.g. thoroughness of class preparation, careful and objective grading, and timely return of tests and papers. My course load, teaching evaluations, student comments, and participation in “hacking sessions” demonstrate my commitment to assigned classes, as indicated by the evidence below. Furthermore, since continuous improvement is a cornerstone of my research agenda, I naturally seek ways to improve upon students’ experience of each course. 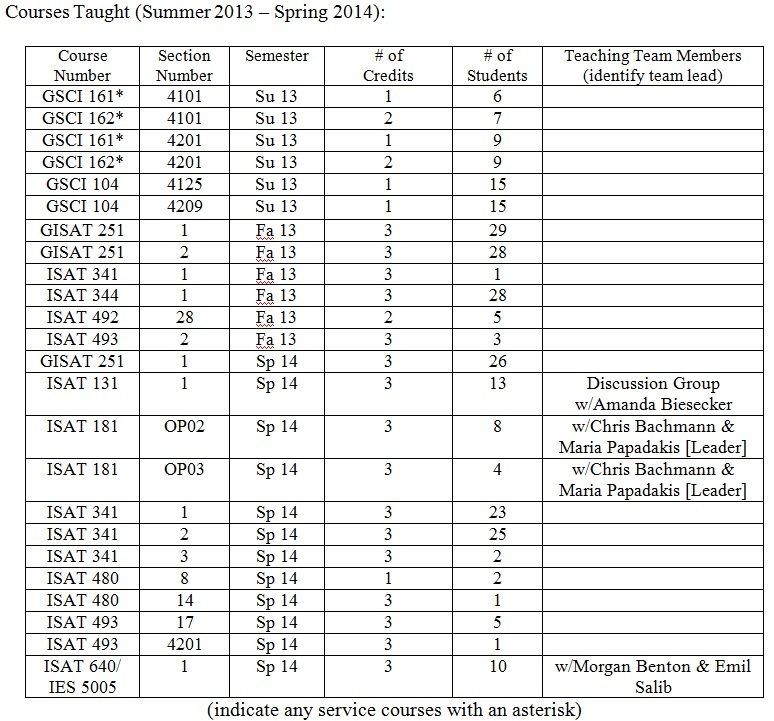 Course Load – The courses that I have taught each semester for the past three academic years, in reverse chronological order, are listed below. My course load per semester (in student credit hours), not counting summer sessions, has ranged from 202 to 326 with an average of 259, which is above the departmental target. Teaching Evaluations – Questions #3 (instructor is well prepared), #9 (instructor is fair and impartial), #10 (instructor gives timely feedback), and #15 (exams are fair and covered important aspects of course) relate to level of commitment. In general, during my time at JMU, most of my evaluations have fallen in the range of “Agree” to “Strongly Agree”. In Spring 2012, I started deviating from the traditional class structure of lectures followed by labs, and began experimenting with a more open-ended structure that allowed students to find and form their own learning paths, while not offering “partial credit” for assignments or exams where the students did not have a demonstrable grasp of the material. Some students responded very well to this approach, but other students were not happy at all, which is reflected by the lower evaluations in Fall 2012 and Spring 2013. However, by Fall 2013 and Spring 2014 (thanks to making changes based on extensive formal and informal feedback from students), I was able to adapt my approach substantially, which led to much higher evaluations and extremely positive student comments. In particular, to improve #10, in Spring 2014 I shifted my instructional model so that I provide most feedback immediately upon completion of each activity, which is reflected by the sharp improvement (from 3.88 to 4.48) in that rating. Hacking Sessions – I have also regularly attended and contributed to Morgan Benton’s Monday night “hacking sessions” since the Spring of 2010. As of the Spring of 2014, this weekly event regularly attracts between 10 and 40 students from our classes (with 50-60 near the end of the semester and before Senior Symposium). This is one of the more active ways we encourage our students to collaborate across our course boundaries wherever appropriate. Continuous Improvement – I am continually asking my students for feedback on the structure, content, and conduct of each course, which I integrate into the courses in-situ as well as when I revisit the design of a course each semester it is taught. 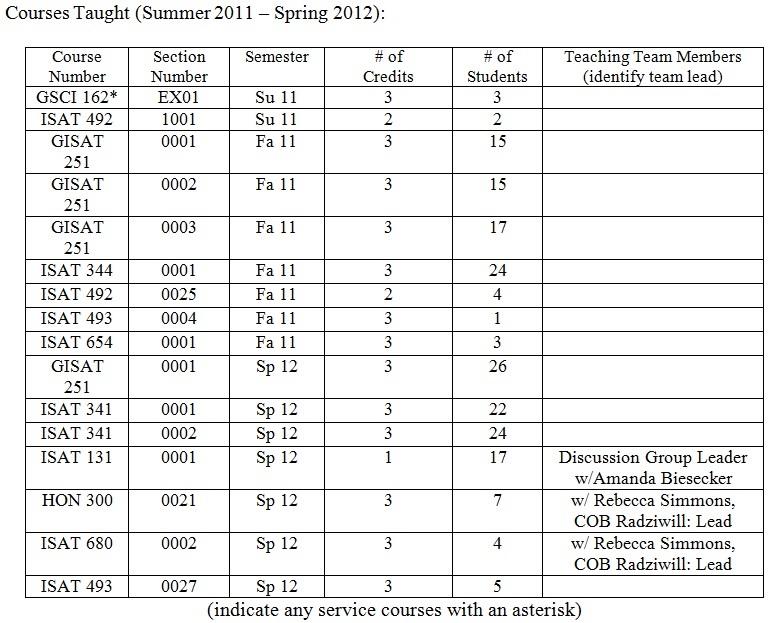 I also leverage JMU resources to improve my courses and course delivery. 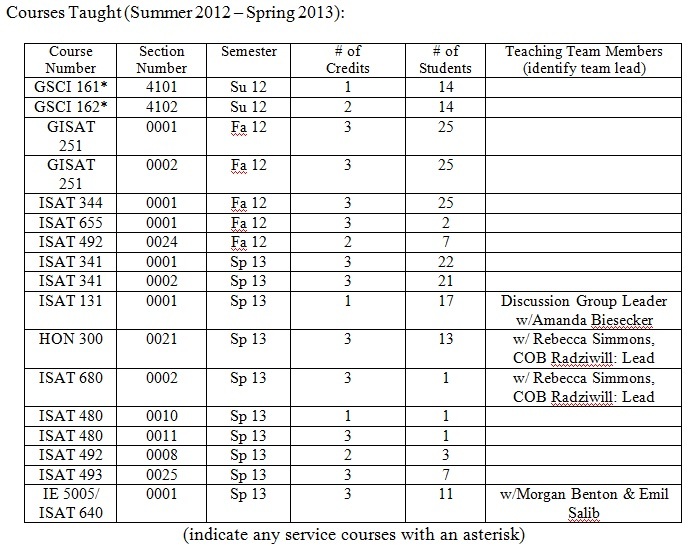 For example, during the Spring of 2012 when I made significant changes to the structure of ISAT 341 (Simulation & Modeling) to expand the potential topics students could explore, I engaged TAP consultants to help.